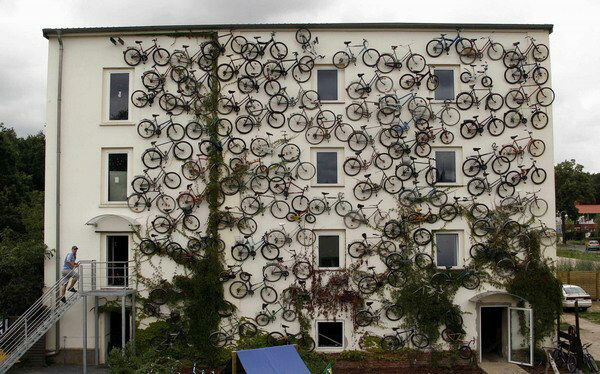 Cheaper than an advertising billboard and in this case, more effective, the owners of this bike shop in Altlandsberg, Germany decided to hang 120 bicycles on the main facade. 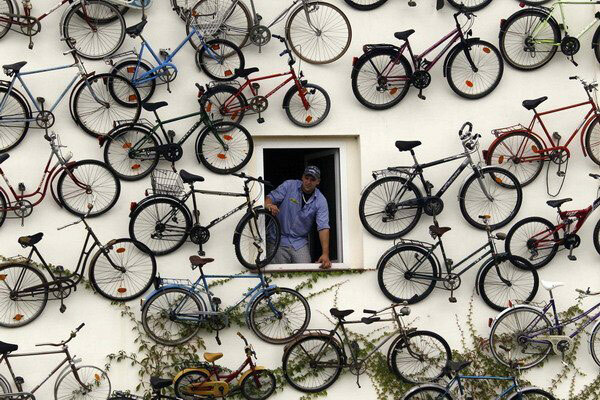 Who could anticipate that the beautiful historic town of Altlandsberg, located not far from Berlin would catch so much media attention due to an unusual bike shop exterior? The highly captivating facade of the Altlandsberg bike shop comes equipped with various models, from a 1933 two-wheeler, to a bike from 1986 that a customer recognized and stated it was stolen from him years back from a train station. 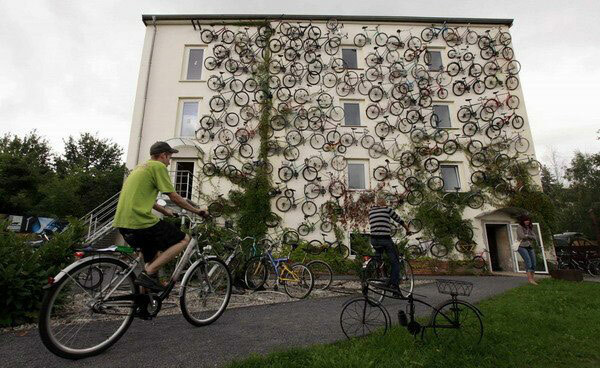 According to Tree Hugger, the story of the shop started when an employee asked owner Peter Horstmann, what to do with about 40 bikes that customers had brought in as trade ins. “Hang ’em on the wall,” Horstmann replied from his gut.